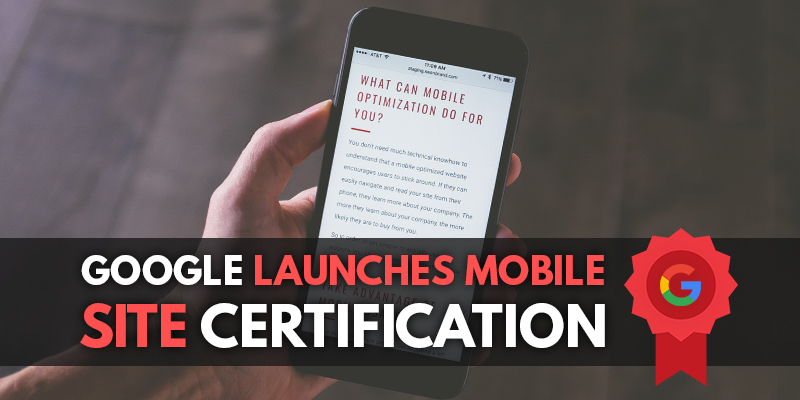 Google Launches Mobile Sites Certification | Sharp Innovations Blog | Sharp Innovations, Inc.
Search engines have already adapted to the change by promoting things like Progressive Web Apps (PWA) and Accelerated Mobile Pages (AMP), and Google is even offering a Mobile Sites certification for developers to earn recognition as an expert in mobile site optimization. Sharp Innovations is proud to be among the first internet marketing firms in the Lancaster area to receive this new certification, and it is your assurance of our ability to build and optimize mobile and responsive websites of the highest quality for our clients. Bringing mobile site optimization to your website is now more of a necessity than a luxury, and Sharp Innovations can help you make this upgrade. If your mobile website is not living up to your business’s needs, or if you are still lacking a mobile website, be sure to give us a call at 717-290-6760 or send an email to sales@sharpinnovations.com to get started.